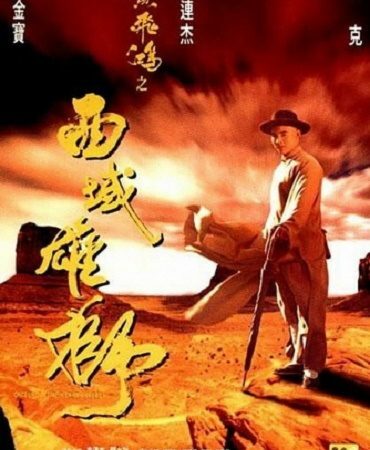 Jet Li made the role of Wong Fei Hung his own with the first three Once Upon A Time In China films but after a bust-up with Tsui Hark / Golden Harvest left the film series and the role was taken over by Chiu Man Chuk (True Legend). But in 1997 he returned to the role with director Sammo Hung for the cowboy-themed Once Upon A Time in China and America with mixed results. 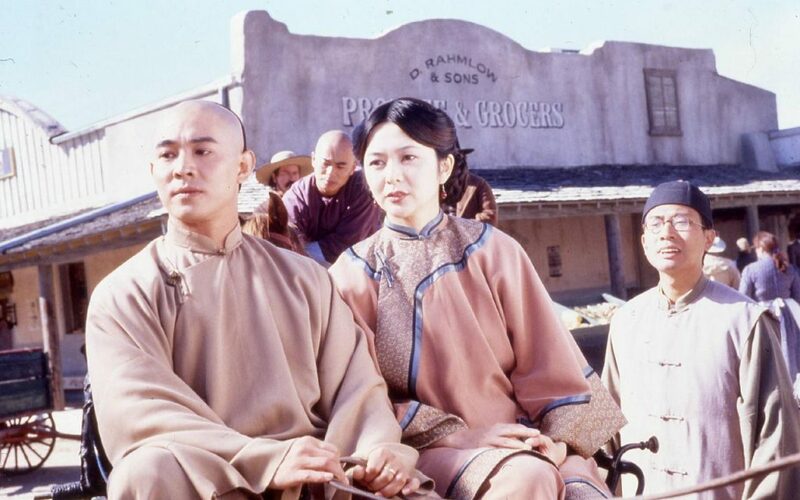 Wong Fei Hung along with Aunt Yee (Rosamund Kwan) and Clubfoot (Hung Yan Yan) travel to America to visit the Po Chi Lam clinic opened up there. While on the journey the party is attacked by Indians and after an accident, Fei Hung loses his memory and is brought back to health by another friendly Indian tribe. Events soon lead to the inevitable reunion between Wong and his former friends, but they soon find things take a further twist when a group of bandits, led by Mad Wolf, plan to rob the very same town that our heroes are now stationed in and care little for the lives of the numerous civilians. 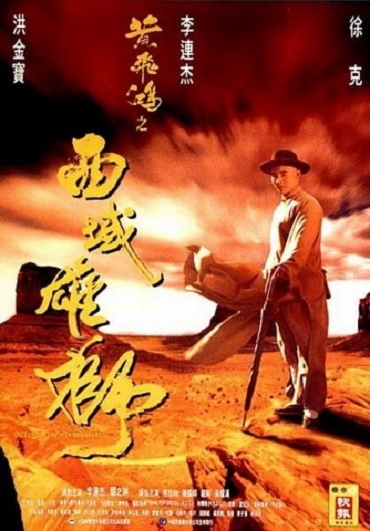 Wong Fei Hung along with his new cowboy friend Billy have to battle not only the villains but the prejudice against the Chinese in the Old West. The film is a guilty pleasure but also very frustrating to watch because it had great potential. 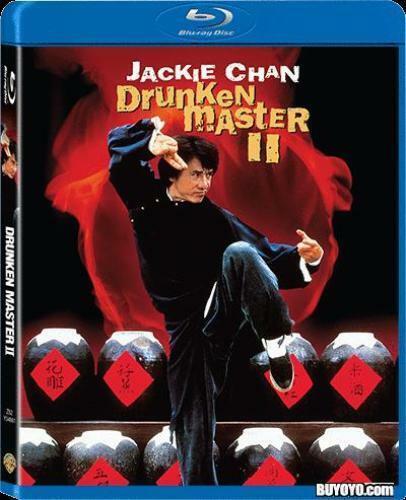 Sammo as always does a great job with the fight scenes, especially the one in the bar where Clubfoot beats up a whole gang of cowboys and its great to see Jet Li cut loose without the overuse of wires as in the earlier instalments. The western actors are all pretty awful, Jeff Wolfe is ok as Billy, but its the usual sort of thing that lets down Hong Kong films that are shot overseas. 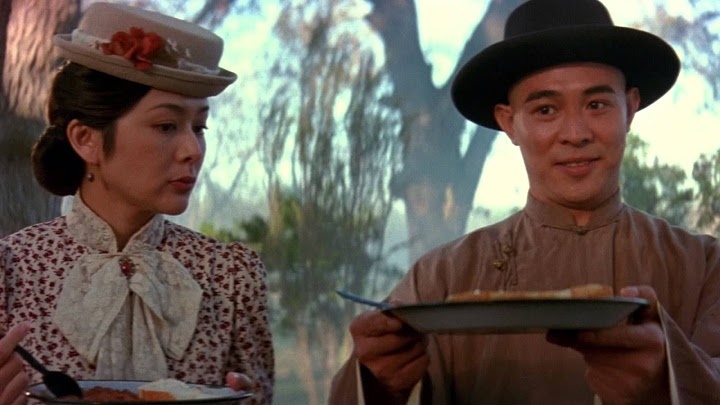 Many will have a sense of Deja-vou as some scenes are very similar to the Jackie Chan movie Shanghai Noon, that’s because Sammo and others stole the idea and it caused a lot of friction between the two at the time. The Blu ray from Kam & Ronson is for once true HD, a very good transfer and a major step up from any DVD release the film has had. The sound is Cantonese DTS or Mandarin Dolby Digital 5.1 and is fine with the very unsubtle use of the rear channels. I did not notice any major added sound effects which are another plus point and has ruined many of there back catalogue releases on Blu Ray. English subtitles are good with very little grammatical errors. No extra’s which is disappointing as a good making-of documentary was made and can be seen on places like Youtube so not having it here is just plain lazy. Finally, the disc is locked to region A, so you will need a region A or multi-region player to view this disc. The same disc has also been released in Korea.